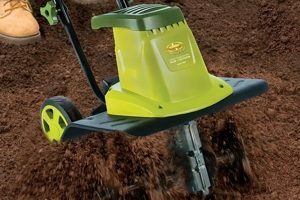 Trimming your lawn can be a smooth and easy task when you have the right equipment. It can also be a rough and painful task when you have a faulty machine. There are various types of weed eaters available on the market ranging from gas trimmers, and corded and cordless trimmers. Depending with which you enjoy using most, there are times when you start the machine and you discover that the engine won’t start. Instead of becoming frustrated, this article will give you a few troubleshooting basics you can apply to achieve positive results. There are various types of weed eaters ranging from gas-powered, battery-powered to electric-powered. If your machine is gasoline powered, then the main reason why it’s unable to start must be related to fuel. Before taking any action, first check the fuel level in the tank to be sure that it’s full. If the fuel level is low, then you’ll have to add up to reach the desired level. If the fuel has been sitting for a long time, it’s advisable that you replace it with fresh gasoline. Ensure that you mix the gasoline and the oil with the correct ratio as indicated. Most weed eater companies recommend that you mix at a ratio of 40 parts unleaded gasoline to 1 part 2-cycle oil. Another reason why your machine is won’t start is the fuel filter. Always check to see if the filter is clogged with dirt. A dirty filter prevents enough fuel from reaching the carburetor. Replace the filter and always ensure that you have a spare filter on hand. Also check the tank and the carburetor for any leakage before starting your trimmer again. In case of an electric model, the main reason for its problem might be a poor connection. Always check the extension cord—if it’s well plugged in to the machine and the electric outlet as well. If the extension cord is the problem, you can always replace it with another extension cord that’s working properly. Remember to leave the trimmer’s switch on when doing the checkup. Check the fuse and the electrical outlet if the problem persists. This problem is mostly experienced with gas trimmers. Unlike the first problem of machine failing to start, this one involves rough idling of the machine after starting. Possible causes of such a problem may be low compression, loose carburetor and damaged crankshaft seals. While you can adjust the carburetor yourself, the seals and the compression problems will need to be fixed by an authorized service dealer. The main causes of this problem may include low compression, idling problems on the carburetor, clogged fuel filter, damaged spark plug or incorrect gas to oil ratios. While some of these problems can be repaired easily without any assistance, others will need the intervention of a professional service dealer. When trying to fix these problems yourself, start with the simplest problems first. Ensure that the ratio of gasoline and oil is correct. Secondly, replace the fuel and air intake filters immediately. The air intake filter can easily be clogged with weeds, insects and other debris preventing enough air from reaching the engine. This is quite similar to the fuel filter which can also be clogged with dirt preventing fuel from reaching the carburetor. Next, adjust the carburetor “HI” and “LO” screws. These screws are responsible for monitoring the amount of fuel flowing through the engine when working. Continue adjusting the screws slowly until you achieve a smooth operation. From this point, any other problem such as low compression, idling, damaged spark plug or buildup on the muffler outlet screen should be repaired by a professional dealer. Weed eaters running on 2-cycle engines can run hot at times. This problem can be caused by a few things which include improper gasoline and oil mixture, improper adjustment of the carburetor’s “Hi” and “Lo” screws, or clogging of the buffer system. When diagnosing, ensure that you adjust the Hi and Lo screws on the carburetor. Check the baffle system to ensure that it’s not clogged with debris or weeds. Check the muffler for any signs of rusts and ensure that it is replaced if necessary. The muffler is mostly used to decrease engine noise and remove excess heat from the engine. If you notice the weed eater is unable to cut grass when the engine is on, then the string attachment must be the cause. To correct this problem, ensure that you switch the string replacement cartridge. You can either call a professional dealer to do the replacement or save yourself the money by doing it yourself. To repair this problem, remove the old string by turning it counterclockwise. Follow the arrows as shown in the guides and ensure the string is no less than 6 inches. Depending on the type of weed eater you’re using, always try and correct other smaller problems which you think might be the cause. For instance, you can change the battery of a cordless trimmer model or you can check if there is dirt or debris inside the machine. For a corded model, always check the extension cord for faults. Check whether it’s well connected to the machine and the power outlet. For a gasoline-powered model, check the spark plug, the carburetor, the gas/oil ratio, the fuel filter and the air intake filter. If the spark plug is clogged with rust and dirt, it’s important that you clean it thoroughly to remove the corrosion. If cleaning doesn’t do the trick, remove the spark plug and replace it with a new one. If your trimmer starts and then bogs down, check the fuel line. Some gas-powered models use plastic fuel lines which are not durable. Ensure that there are no leakages and that the lines are tightly connected to the carburetor valve to prevent air from getting in. With that in mind, you should be able to correct any problem which your trimmer may develop without feeling frustrated.